Announcing new, improved routes for QCC 2017, 16-100 miles! We’ve been working on new, improved routes for the 2017 Queen City Century. Less traffic and not quite as many of those steep hills for 2017! Maps & route details for every route on the Venue & Course page. Less traffic, fewer hills, more fun . . . In developing our 2017 routes, we listened to our riders and what they wanted. The 2017 out-and-back metric Metric Century, 84-mile, and Century Routes are on lower-traffic roads with fewer, smaller hills than the 2016 routes. The 2017 out-and-back century, for example, has 3,800 feet of climbing–compared with 4475 in 2016. That’s about 15% less climbing. And even though there is still climbing, we tried eliminate most of those unpleasant “walls” with 6-8% slope. Instead, we looked for more rolling hills, with 2-4% slope. Most hills are 1-3% slope, a few break 4%, and just one–near mile 74 on the Century return–breaks 5%. So that’s not an easy ride by any means–but it’s reasonable and rideable. 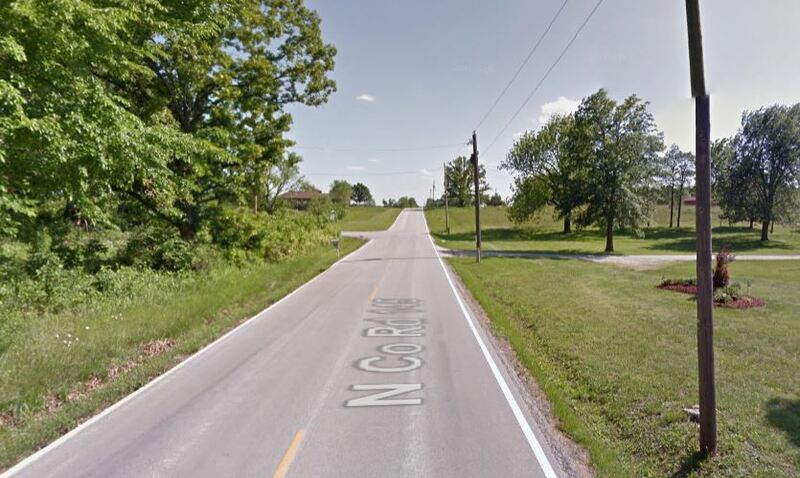 The 32-mile route is about as flat a route as the Springfield area offers–and the 50-mile route is pretty flat, too, with just a couple of moderate hills between the 32-mile turnaround point and the 50 mile turnaround point. Hills on the 32-mile are mostly in the 1-2% range, with just one–on that way out, at mile 11.1–topping out at 3.3%. The steepest uphill on the 32-mile return trip clocks out at 3.0%, with the remainder below 2% grade. Most hills feature just 50-75 feet of elevation gain, with just one or two clocking in at about 100 feet. That’s what most cyclists consider pretty easy, rolling hills. The 50-mile route includes the same hills as the 32-mile route, but additionally a 3.3% climb on the way out and 3.5% and 4.5% climbs on the way back. And, of course, a few rollers in the 1-2% range. Want to ride one of the flattest possible Centuries in the area? 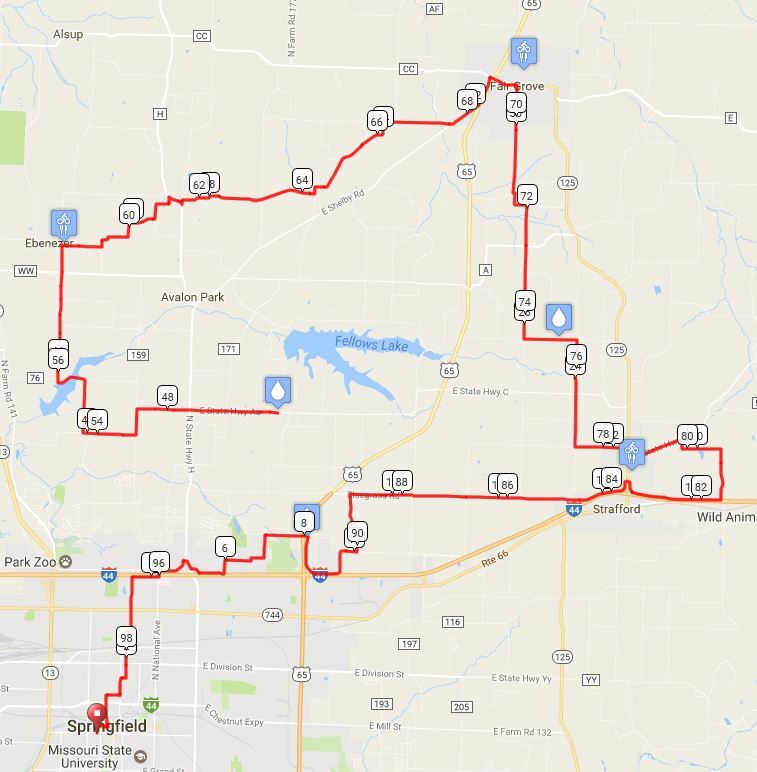 Just ride the 50-mile route twice! This is a great option if you feel like you are ready for a Century–but maybe not quite ready for the more grueling centuries you’ll be ready for later in the season. Your Flat Century ride will be fully supported all day long–because SAG Stops on the first section of the ride remain open until all Century riders return on their longer out-and-back route. And you save more than 200 feet of climbing–and more important, some of the longer and steeper climbs–of the regular 100-mile route. You’ll see the same rolling hills as the 50-mile riders, as outlined above–you’ll just see them all twice. That means you’ll see four 3.3% climbs, two 3.5% climbs, and two 4.5% climbs, in addition to a number of rollers in the 1-2% range. Most of the Flat Century hills are 50-75 feet of climb, and just a couple in the 100 foot range–compared with several in the 150-200 foot range and one that tops out over 300 feet on the regular Century route. So that’s pretty flat–for a Century in the Ozarks! It’s a beautiful, scenic route. Many thanks to a number of local cyclists who have given us ideas and feedback for creating this years’ route! Download route maps here–you will want them loaded on your electronic device on ride day, if possible.